In the late eighteenth century the German Philosopher Immanuel Kant published his Critique of Pure Reason. Today, in the 21st century, the world of philosophy continues to grapple with the many issues the book raised. One particular issue has to do with the way objects are understood, or not understood, with particular reference to the thing in itself. Kant famously claimed that one can only know the appearance of things, and that the things in themselves cannot be known apart from the thing’s appearance. Kant’s systematic magnum opus Critique of Pure Reason exemplifies his brand of enlightened transcendental idealism. A thing, an object, is cognized as appearance, while the thing in itself (of that object) remains inaccessible to human understanding and experience. This is often referred to as one of Kant’s dualisms. A thing’s appearance, with the thing in itself hanging out there, was unacceptable to Kant’s successors, a.k.a. the German Idealists, Johann Gottlieb Fichte, Friedrich Schelling, and Georg Wilhelm Friedrich Hegel, et al. All three philosophers were highly critical of Kant’s thing in itself, of the three, Hegel stands out as the formidable critic (and fan) of whom will be focus in this analysis, since his absolute idealism sought to resolve Kant’s phenomena and noumenon problem. The appearance of things is named by Kant as “phenomena,” and the thing in itself is known as the “noumenon.” One can, more or less equate appearance to phenomena, and noumenon to the thing in itself. For Hegel, Kant’s thing in it self is a contradiction that simply resolves itself in our consciousness of it. In Hegel’s circumstances it, the thing in itself, just does not stay within the Kantian limitation of it. This paper will attempt to examine the vexing philosophical issue of the thing in itself, as it was commented on by Martin Heidegger, Charles Taylor, Terry Pinkard, Henry Allison and others. This will inevitably take us to through a definition of the thing in itself as it was variously described in Kant’s Critique of Pure Reason. In other words, this analysis will look to how other thinkers have understood (and criticized) the thing in itself as it moved from Kant’s philosophy to Hegel (and beyond). The basic question of how Hegel dealt with the issue of the thing in itself, will be simultaneously examined to see if there are any fresh conclusions to be drawn from the distinctions about the thing in itself as it was absorbed and reified into absolute idealism. Lastly, a defense of Kant’s positions will be offered, not as an apology, but as an alternative to Hegel’s retorts. Probably the best introduction to Kant’s conception of the thing in itself was offered by Martin Heidegger. In the 1935-36 winter semester at the University of Freiburg, he presented a series of lectures titled “Basic Questions of Metaphysics”, and the book What is a Thing? is a remarkable product of those lectures. This book brings into question the philosophical questioning of the thing, as the question relates to Kant’s critical philosophy, and as it is opposed to the scientific way and the everyday way to inquire about the thing. Heidegger poses this as a basic question of metaphysics. In order to set up his question about the thing, Heidegger retells the well known story of Thales, the ancient Greek philosopher, falling into the well, told by Plato in his Theaetetus. The story is quite simple: Thales falls into a well while studying the stars. A housemaid laughs at Thales because of the ‘everyday’ notion that, while Thales is studying the heavens, he can’t see what’s in from of him. Therefore, in this everyday sense, the philosopher is thought to be foolish and laughable. Yet, the reason Heidegger brings this up is to show that yes, the housemaid laughs at the seeming foolishness and banality of such questions as ‘what is a thing?’ But, Heidegger implicates that philosophy is not a joke, and it is not understood in everyday terms. Heidegger writes: “we shall do well to remember occasionally that by our strolling we can fall in a well whereby we may not reach the ground for some time.” When one is doing philosophy, it would serve us well to understand that there are differences in the everyday, and scientific ways of thinking about the world, these are somewhat different from the manner in which one deals with these things in a philosophical idiom. Although it starts in the everyday world, philosophy cannot get too distracted with the everyday conception of things. It must have the ability to take itself seriously apart from this, to go beyond the everyday (and the scientific) when asking fundamental questions such as what is a thing?—and verily, what is the thing in itself? Although we cannot indulge Heidegger’s complete argument, we can say, obviously, that his main focus is Kant’s first Critique. Heidegger is plainly questioning Kant’s conception of the thing. In the opening pages of What is a Thing? Heidegger, in addition to separating the philosophical questioning from the scientific (and everyday) questioning of the thing, asks the modest question ‘what is a thing?” He shows that one way we understand what a thing is, has to do with a narrow sense of the word thing, something that can be seen, touched, heard, etc. but also, there is a secondary way we think of a thing, as an “affair, transaction, or a condition.” Then, as Heidegger continues, there is even a third aspect of the thing, with respect to Kant. Kant, as is already known, distinguished from the “thing-for-us (Ding für uns)” which is a typical way of understanding things, so the third way of understanding the thing has to do with the “thing-in-itself (Ding an sich)” Basically, the thing in itself is not experience-able, as are the things of experience. Heidegger writes that for Kant “every thing-for-us is as a thing and also a thing-in-itself.” Heidegger quickly complicates this by letting us know that, for Kant, every thing in itself is not a thing for us—such as God. According to Heidegger, God is also included as a thing in itself, with respect to Kant’s way of understanding things. God is brought up as a good example to show the impenetrability of completely understanding the thing in itself as it was conceived of by Kant. In short, God is that thing in itself of which we will never truly know much about, and the empirical fact that a concept of God, or a God, is not entirely available to us. In later subchapter from What is a Thing? “The Title of Kant’s Major Work,” Heidegger offers a typically bold assertion that the Critique of Pure Reason is really the question: ‘what is a thing?’ “And yet we are completely justified in asserting that this title [Critique of Pure Reason] expresses nothing else but the question concerning a thing—but as a question.” In later parts of What is a Thing? Heidegger talks a little more about the thing in itself, where the object of experience, the thing, to repeat, is thought of by Kant in two different ways “the thing as appearance (Erscheinung) and as the thing-in-itself (Ding an sich). But the thing-in-itself, i.e., detached from and taken out of every relation of manifestation (Bekundung) for us, remains a mere x.” Every time a person thinks of a thing, there is always, at least in Kant’s particular way of organizing human understanding, an entire aspect of that thing that remains unknown to us like a variable that awaits cognitive evaluation. As complicated as Heidegger can be at times, in this case with Kant, he is remarkably clear and concise. Heidegger helps to introduce the primary nature of the dualism Kant set up between the thing of appearance and the thing in itself. G.W.F. Hegel was strongly influenced by Kant. Early on in his philosophical career he saw himself as completing Kant’s project. Hegel had to work hard to lift up what he considered to be valuable in Kant’s system, while at the same time critiquing and pushing it away, a purely dialectical move to be sure. The respected Hegel specialist Terry Pinkard in his recent (2000) biography of Hegel cites an early letter where Hegel writes that “I cut my teeth on Kant’s works.” Pinkard writes that Hegel’s Science of Logic of 1812, not only shows Kant’s influence, but it also shows Hegel’s critique of Kant’s critical philosophy. Hegel’s Nuremburg dictations on ‘logic’[which contributed to the Science of Logic] show more clearly than his final completed work just how much he was indebted to Kant and just how much he had in fact returned to Kant in working out his own system. ‘Absolute totality’ signifies the totality of the manifold of a thing in itself and is something contradictory in respect to appearances as mere representations, which are to be encountered only in the progression, not outside themselves. (A416 / B444). he consistently left open a multitude of dualisms. Instead of the Kantian division of appearance and the things in themselves, Hegel would embrace an ultimate unification of Kant’s dualisms to be basic manifestations of Geist (Hegel’s notorious term Geist, will be looked at with more detail later). The ‘wholes’ of reason have to then become a more complete, unified and absolute picture of reality for Hegel, because it’s a matter of how the elements dialectically come together. Hegel writes at length about the specific problem of Kant’s antinomies, and their supposed contradictions in The Enclyclopædia Logic. Hegel’s Science of Logic does have a section explicitly addressing the thing in itself “Thing-in-itself and Existence.” But before venturing into the ‘greater’ Logic, it will be easier to look into Hegel’s so-called ‘shorter’ Logic, formally known as The Encyclopædia Logic. In the addition to §48, from the ‘shorter’ Logic, Hegel says, “for Kant it lies in the very nature of thinking to lapse into contradictions (‘antinomies’) when it aims at cognition of the infinite.” This is a typical example whereby Hegel recognizes, (and lauds) Kant for his “advance for philosophical cognition” (§48). Then Hegel criticizes Kant for stopping at the “merely negative result” meaning, Kant stopped where the contradiction is left unresolved. Hegel’s resolution is to suggest that “everything actual contains opposed determinations within it” and that consciousness is what brings the opposition together. This is Hegel’s “dialectical movement of thinking” (§48). Another way of putting this would be to say, one takes what cannot be made conscious about a thing (re: the thing in itself / noumenon) to be what can be consciously found out about that thing (re: appearances / phenomenon). Things are made conscious not only for us, but in the greater sense of how humans collectively become conscious of things. All of what people know about a particular thing becomes an aspect of how that thing is contradicted (dialectically), and then made conscious of, and conceptualized in terms of Hegel’s Geist. Where Kant abhorred contradiction, Hegel valorized contradiction. And yet, another way of putting this would be to say that, when people set out to know about things, they are confronted with things they don’t know much about (to be clear, this is the thing in itself, after Hegel’s refinement), upon learning about the particular thing in question by agreeing, disputing and dialectically coming to terms with it, it, the thing becomes known consciously, but not absolutely. Then, in this movement of dynamic consciousness a more complete conception of the thing can be said to become better known by the whole of humanity, not just by us as individuals. Our individual Geist provides only a single part of the absolute knowledge of things. Geist, in its manifestation as the whole of humanity, provides the most complete notion of how we collectively become conscious of things for Hegel. Don’t be mistaken, an individual’s Geist is not unimportant in this picture, since our combined consciousnesses provide the basis for ‘absolute Geist.’ The contradictory, and likewise, convivial parts constitute the whole. There will be more detail on Geist later, as promised. In the analytical part of the critique it is proved that space and time are only forms of sensible intuition, and therefore only conditions of the existence of the things as appearances, further that we have no concepts of the understanding and hence no elements for the cognition of things except insofar as an intuition can be given corresponding to these concepts, consequently that we can have no cognition of no object as a thing in itself, but only insofar as it is an object of sensible intuition, i.e. as an appearance; from which follows the limitation of all even possible speculative cognition of reason to mere objects of experience (Bxxvi). Derisively, Hegel calls Kant’s conception of the thing in itself “caput mortuum” (§44). Hegel reinstates the point made by Heidegger, that Kant conceived of the thing in itself as including a conception of God. But, most importantly, Hegel calls Kant’s thing in itself, an “abstraction” and it “is itself only the product of thinking, and precisely of the thinking that has gone to the extreme of pure abstraction” (§44). For Kant the thing in itself is an “empty identity” and that it is “something quite familiar” according to Hegel (§44). What does Hegel mean by suggesting that the empty identity of thing in itself is something familiar? Provisionally, it must mean that for Hegel, Kant’s thing in itself represents a strict abstract limitation on our ability to know and understand things, this is a way of knowing things that sets an epistemic limitation and demarcation to what can be made conscious of and identified. Kant’s thing in itself is a pure abstraction of the mind. Hegel does not retain such abstract limitations on what can be made conscious of and identified. Before a person sets out to be conscious something there has to be an acknowledgement of a particular thing that is unknown, and it is not yet differentiated from other things. Before that particular thing can become identified, its identity is empty and undifferentiated for that person. Hegel’s implicit suggestion is that Kant’s thing in itself is (for Hegel’s conception) what the thing is potentially, in its potentiality—prior to being identified and cognized. Once the thing is cognized and identified it is for us. This point is given a full explanation in §124 from the The Enclyclopædia Logic, the thing in itself is spoken of by Hegel as being something that is merely undeveloped, not yet realized, as a kind of potential. An example is given of a child who is not yet a man, who is said to be in the abstract, and in an in itself state, or a seed is likewise in the in itself state. The in itself, for Hegel, is basically something that has no yet been realized, it has not been put into its fullest actuality. This is what Kant’s thing in itself becomes, after Hegel’s sublation of it. In the Science of Logic, Hegel provides the curious reader with his most opaque explication of the thing in itself thus far. In this instance, Hegel does so without mentioning Kant at all (at least, not in this part of the book). The subchapter “Thing-in-itself and Existence” is located under the chapter “Existence.” In these passages Hegel makes mention of the key word “reflection” with regard to the thing in itself, e.g. “The Thing-in-itself [sic] stands in relation to a Reflection which is external to it; in this Reflection it has manifold determinations.” Hegel tells us that this reflection is a mediation between the thing in itself and the thing’s determination. The reflection is a way of determining something about the thing in itself, and “this determinateness of the Thing-in-itself [sic] is the property of the Thing.” The determination of a thing (and again note that this is where Hegel is going beyond Kant) is not entirely limited to the external reflection of the thing. It is what the thing is. Determination, i.e. the determination one has of a particular thing, is also closely related to appearance, since it is said that the appearance of the thing, is for Hegel, what constitutes what the thing actually is for human consciousness. Reflection reaches it zenith in the Kantian philosophy, where it is essentially an attempt to think beyond the immediate surface appearance of things and to understand how that appearance is mediated by factors and conditions that do not themselves appear […] reflection erects a dichotomy between appearance and reality (or essence) and holds to this opposition rigidly. Charles Taylor wrote his formidable book on Hegel back in the 1970s, in it he touches on the important issue of Hegel’s critique of Kant’s thing in itself. He opens discussion of the issue by describing the problem of Kant’s transcendental argument, whereby Kant had described a world of appearance that was “distinguished from the ultimate reality.” This world of appearances, according to Kant, is also partially developed from the empirical, yet, since it is only “partly given to us” we can know “nothing about the shape of things as they are in themselves.” As we have repeated, this transcendental demarcation from ultimate reality was “intolerable” for the German Idealist philosophers working after Kant—namely Hegel. Taylor brings up an insightful connection to this with Kant’s insistence to place a premium on the moral (practical) freedom of man, instead of an outside force such as God. Back in the preface to the second edition of the Critique, Kant writes about the way such things as God, freedom and immortality are related to the thing in themselves “I cannot cognize freedom as a property on any being to which I ascribe effects in the world of sense, because then I would have to cognize such an existence as determined” (Bxxviii). As Taylor discusses, Enlightenment thinkers, like Kant, were interested in placing man’s moral freedom within man’s control, i.e. transcendentally, rather than from an objective, causally and predetermined world. Essentially, for Kant, as Taylor puts it, the “transcendental argument tries to infer from experience back to the subject of that experience: what must we be like in order to have the kind of experience we do?” But for Kant’s transcendental argument to carry any weight it has to differentiate between appearance and the things in themselves, experience has be differentiated from the world as it is in itself. Since the idea is, that reality is constituted by the structure of our minds, instead of the other way around. One might think that in order to know about how we understand the world, we have to empirically dig deep into the way things are. For Kant, we provide the experience of the phenomena that is made evident by the noumena, and it is the way that our minds structure that information, via the categories of understanding etc., which constitutes the reality we know. This crudely put, is Kant’s perspective, traditionally characterized as his “Copernican Revolution,” (although he never used the specific characterization: “Copernican Revolution”). In order to stake a claim for the validity of his arguments—to show that the categories of the understanding made cognition possible on the basis of the intuitions of space and time, reproductively synthesized by the imagination and brought together by the transcendental unity of apperception, in a rationally structured way—there had to be things that are outside of our a priori transcendence: the things in themselves. Freedom had to be one of those things, for Kant, which cannot be known in the fullest sense of the word. Freedom too, was noumenal, it is a thing in itself. Unfortunately, we don’t have the time to explore the practical (ethical) and theological dimensions of Kant’s transcendentalism in any more depth than this, so we’ll continue by detailing Hegel’s critique of the thing in itself from Taylor’s reading of Hegel’s Logic,. In Taylor’s chapter “A Dialectic of Categories” he focuses on Hegel’s Logic. Taylor indicates that a primary goal of Hegel’s Logic is to show that “if the real exists and has the structure is has by conceptual necessity, […] the task of the Logic is to show this conceptual structure by pure conceptual argument.” For Hegel, as Taylor tells us, didn’t accept the dualism that logic was a purely formal element brought to things tout court, “Thought and determinations through which it [thought] operates…are not the apanage [sovereign granting] of a subject over and against the world, but lie at the very root of things.” Reality, for Hegel, is the embodiment of Geist, it is rational, and we as rational beings are in touch with that since we too are aspects of a rationally conscious Geist. It is impossible to encapsulate Hegel’s full conception of Geist in this short space, but it is worth describing it in relation to what Taylor is talking about. In Inwood’s A Hegel Dictionary, toward the very end of the 3½ page definition of Geist, there is this sentence: “Hegel’s claim that Geist is absolute does not mean that everything is mental or the product of one’s own mind.” In other words, the structure of reality, as rational, was thought of by Hegel as naturally immanent, and Geist idealizes these things into its particular cognition. To this notion of the way Geist cognizes the rational order of things as immanent, Taylor continues, “The rational, truly universal thought which is expressed in our categories is thus spirit’s knowledge of itself.” ,  The best way to reword Taylor’s sentence here, is to say that the categories of our rational thinking are, believe it or not, the dynamic structure of reality itself, at least under Hegel’s way. It doesn’t hurt to think of Hegel’s Logic as ontological, in other words, it provides the underlying structure of reality. Where Kant is epistemological, Hegel is ontological. As Taylor identifies it, this is the first dualism that Hegel wishes resolve, i.e. the dualism between concepts and the world, whereby the concepts are embodied in the world. “Concepts are not sharply distinct for objects…and no object that is, e.g. a thing with properties can fail to be a thing with properties” according to Inwood’s definition of Hegel’s term “concept” The rational discloses itself in things for us, rather than things remaining in and of themselves. For Taylor, a rationally dynamic structure is related to Hegel’s notion of the concept, which, as we’ve noticed in the above example, is not separate from us or the world, rather it is “…straddling the opposition between subject and object…” This describes the kind of Kantian opposition that must be overcome in Hegel’s project. And it is something that Kant clearly leaves as an opposition when he comes to the phenomena and noumena. Taylor indicates that Kant’s transcendental logic is also somewhat ontological, since it is dealing with conceptual structures of cognition, and how these apply to the world. But, Kant never took this to the conclusions that Hegel did, since Kant maintained that there was a difference between the phenomenal and the noumenal way that we cognize the world with our concepts etc. And to be sure, at least in the Critique, Kant never admitted any talk of ontology in his philosophical system, as will be noted in the “Defense” section of this paper (pp. 19-20). The naïve consciousness has rightly taken exceptions to this [Kant’s] subjective idealism, according to which the content of our consciousness is some thing that is only ours, something posited only through us. In fact the true situation is that the things of which we have immediate knowledge are mere appearances, not only for us, but also in-themselves, and that the proper determination of these things, which are in this sense “finite”, consists in having ground of their being not within themselves, but in the universal divine Idea. This interpretation must also be called idealism, but, as distinct from the subjective idealism of Critical Philosophy, it is absolute idealism [Hegel’s italics]. Okay, to unpack this passage a bit more, we can see clearly the departure from Kant and into Hegel’s absolute idealism, whereby the things of this world are still appearances, yet with the difference of what Hegel’s calling a determination that is ‘finite’ that doesn’t ground itself in the things, but in the “universal divine Idea.” This divine idea is of course, rational, and as Magee defines it in The Hegel Dictionary, it is nearly akin to Hegel’s absolute and “idea is not a static overcoming of subject and object…Hegel conceives of Idea as a dynamic overcoming of subject and object—closer to an act than to an ‘idea.’” As for appearances, Hegel brings them together with essence, i.e. the way an object appears is also coupled with its essence, Things don’t ‘only’ appear for Hegel “for when we say of something that is ‘only’ appearance…” that this is implying that the appearance is somehow only superficial rendering, and that we still need more than ‘mere’ appearance. Yet, appearance is not merely superficial for Hegel, he says as much in his “Appearance” chapter in the The Encyclopædia Logic, in the addition to §131, “…appearance is higher than mere being. Appearance is precisely the truth of being and a richer determination of the latter…” Continuing on appearance, Hegel says that Kant “stopped halfway” whereas appearance was kept as subjective and the other half had to do with the things in themselves. The respected scholar Henry E. Allison in his book Transcendental Idealism devotes many pages to the thing in itself. He too felt that thing in itself was a problem for Kant’s philosophy “of all the criticisms that have been raised against Kant’s philosophy the most persistent concern the thing in itself…” But it cannot be overlooked that Allison was a Kant defender. In Allison’s opening paragraph for the chapter “The Thing in Itself and the Problem of Affection” we shudder once more at the difficulty of the philosophically technical problems at hand, to take into consideration that not only do we have the dilemma of defining what the thing in itself actually is, but we also have the problem of understanding how the thing in itself relates to Kant’s transcendental idealism. The way that the thing in it self is a problem, as Allison is suggesting, has to do with the idea that the thing in itself is not accessible to us, yet at the same time, it is the means by which things appear to us sensibly and conceptually. It, the thing in itself, then is somehow a transcendental object. We’ll return to this particular problem in a bit, but for now let us address Allison’s admirable attempt a differentiation between the noumenon and the thing in itself. The understanding accordingly bounds sensibility without thereby expanding its own field, and in warning sensibility not to presume to reach for things in themselves but solely for appearances, it thinks of an object in itself, but only as a transcendental object, which is the cause of appearance (thus not itself appearance), and that cannot be thought of either as magnitude or as reality or as substance, etc. (since these concepts always require sensible forms in which they determine an object); it therefore remains completely unknown whether it would be cancelled out along with sensibility or whether it would remain even if we took sensibility away. (A288 / B344 – A289 / B345). This quote is demonstrates that the pure understanding critically limits sensibility with the conception of a transcendental object, known as the thing in itself, and strangely, a suggestion of what would remain, of objects, if we took sensibility away. This passage shows too, that these things in themselves as transcendental objects are products of the mind, meaning that we can, even though they are conceptually out of reach, still think about them—in the very least, abstractly, dare we say in their ‘pure’ abstraction. ‘What kind of constitution does the transcendental object have?’ one cannot give an answer saying what it is, but one can answer that the question itself is nothing, because no object for the concept is given (A478 / B506n). Again, what does this mean for the transcendental object and the thing in itself? To answer this, let’s recap a few of the words and descriptions that are used to describe the transcendental object: a mere indeterminate something, a limitation of thought, it is not an appearance, it is not a reality, it is not a substance, etc. Still, if it is a transcendental pointer as Allison posits, it corresponds to sensibility, it is singular, it is an intelligible cause, and it is a cause of an appearance. Judging from these descriptions, and comparing what Allison writes, along with the Caygill definition, we have to assume that the transcendental object is what Allison calls “adverbial” in other words, having to do with the condition in which the object appear to us, whereas we might consider it to be the transcendental moment between understanding and the intellection of the object, after our sensible intuition, yet before actual cognition or conceptualization of the object before it segues into understanding. As for the relation to the thing in itself, we could, after what was just gathered, that if the thing in itself is the empirical correlate to appearance, then the transcendental object is the transcendental correlate of the object for the understanding and cognition. It would be foolish to think that the extravagant problems brought about by Kant’s conception of the thing in itself, as it was characterized in his Critique of Pure Reason were solved in this short analysis. Only a few of the issues and complications have been brought to bear in such a way so as to consider them with the scholarly respect they deserve. If, while asking about the thing in itself, this is the well we have fallen into, we have not fallen far. The bottom has not been reached. Hegel brought Kant’s dualistic conception of the thing in itself to the dialectical resolve that reifies the absolute. And, two of the most salient points to be made have already been recounted: Where Kant opposes contradiction, Hegel valorizes contradiction, and, where Kant is epistemological, Hegel is ontological. Surely, Kant had in mind the limitations of human cognition, and Hegel envisioned the possibility toward the infinite. The mistake is to think one was right where the other was wrong. Both philosophers were simply trying to get to the truth about things, and the basic way we think about those things. Allison, Henry E. Kant’s Transcendental Idealism. New Haven: Yale University Press, 2004. Ameriks, Karl, ed. The Cambridge Companion to German Idealism. New York: Cambridge University Press, 2000. Beiser, Frederick. Hegel. New York: Routledge, 2005. Carus, Paul. The Surd of Metaphysics: An Inquiry to the Question Are There Things-in-Themselves? Chicago: The Open Court Publishing Company, 1903. Caygill, Howard. A Kant Dictionary. Oxford: Blackwell Reference, 1995. Dudley, Will. Understanding German Idealism. Stocksfield: Acumen, 2007. Fawcett, Edward Douglas. “From Berkeley to Hegel.” The Monist 7, no. 2 (Oct. 1896): 438-460. Hegel, G.W.F. The Encyclopædia Logic: Part I of the Encyclopedia of Philosophical Sciences with Zusätze. Translated by T.F. Geraets, W.A. Suchting, and H.S. Harris. Indianapolis: Hackett, 1991. —. Hegel’s Lectures on the History of Philosophy, Vol. 3. Translated by E.S. Haldane and Francis H. Simson. New York: The Humaities Press, 1963. —. Hegel’s Logic. Translated by William Wallace. New York: Oxford, 1975. —. The Science of Logic, Vol. II, W.H. Johnston and L.G. Struthers, trans. New York: The Macmillan Co., 1961. Heidegger, Martin. “What is a Thing?” Edited and Translated by W.B. Barton and Vera Deutsch. Chicago: Henry Regnery Company, 1967. Henrich, Dieter. Between Kant and Hegel: Lectures on German Idealism. Edited by David S. Pacini. Cambridge: Harvard University Press, 2003. Inwood, Michael. A Hegel Dictionary. Oxford: Blackwell Reference, 1992. Kant, Immanuel. Critique of Pure Reason. Edited and Translated by Paul Guyer and Allen W. Wood. New York: Cambridge University Press, 1998. King, Martin Luther. Jr. “The Development of Hegel’s Thought as Revealed in His Early Theological Writings,” 1 October 1952. At the Boston University’s Mulgar Library. –MLKPMBU: Box 115. Pippen, Robert. “Gerold Prauss: “Kant und das Problem der Dinge an sich.” Journal of the History of Philosophy 4, no. 3 (July 1, 1976): 374-378. Smith, John E. “Hegel’s Critique of Kant.” The Review of Metaphysics 26, no. 3 (Mar. 1973): 438-460. Smith, Norman Kemp. A Commentary to Kant’s Critique of Pure Reason. New York: Palgrave Macmillan, 2003. Solomon, Robert C. “Hegel’s Epistemology.” Philosophical Quarterly 11, no. 4 (Oct. 1974): 277-289. Taylor, Charles. Hegel. New York: Cambridge University Press, 1975. “Dwell in your house, and you will know how simple your possessions are” (Persius, Satires 4:52). Noted in Kant’s “Preface A,” Critique of Pure Reason, Axx, 104. Kant’s first edition of the Critique of Pure Reason was published in 1781, and the second edition was then published six years later, in 1787. 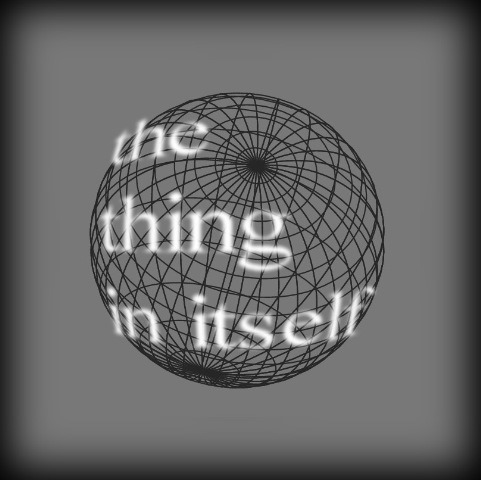 The list of critics against Kant’s use of the thing in it self not only included Fichte, Schelling and Hegel, but also Friedrich Heinrich Jacobi, Friedrich Nietzsche, Arthur Schopenhauer, Henri Bergson, and there must be many more. For instance, Schopenhauer ingenuously combines the will with the thing in itself. See his The World Will as Representation, §31, Book III, and the Appendix “Criticism of Kantian Philosophy.” Also see Arnaud François, Roxanne Lapidus, “Life and Will in Nietzsche and Bergson,” Substance, Issue 114 (Volume 36, Number 3), 2007, 100-114. One cannot discard the fact that Hegel was not only a critic of Kant, he also, incorporated some of Kant’s thought into his own, for instance, Kant’s categories are included in Hegel’s Logic, etc. The mistake is often churlishly made to regard Hegel as only a critic of Kant. This is a glaring mistake, since Hegel’s philosophy positively incorporates Kant’s ideas. There are other places in which Kant makes significant use of the thing in itself, e.g. the Critique of Practical Reason (1788), and the Prolegomena to Any Future Metaphysics (1783), Groundwork of the Metaphysics of Morals (1785) etc. About metaphysics, Heidegger states that “The term ‘metaphysics’ here should indicate only that the questions dealt with stand at the core and center of philosophy. However, by ‘metaphysics’ we do not mean a special field or branch within philosophy in contrast to logic and ethics. There are no fields in philosophy because philosophy is not a field. Something like a division of labor is senseless in philosophy; scholastic learning is to a certain extent indispensible to it but is never its essence.” Martin Heidegger, What is a Thing? 1-4. Martin Heidegger, What is a Thing? 2. Martin Heidegger, What is a Thing? 3. Kant’s Critique of Pure Reason will be frequently interchanged with Critique, and hereafter, is not to be mistaken for Kant’s subsequent Critiques. Interestingly he shows that etymological history of the word, in German (Das Ding), designated a court proceeding, a tribunal “The thing was a cause one negotiated or reconciled in an assembly of judges. Heidegger, Martin, “What is a Thing?” 5, see footnote. Martin Heidegger, What is a Thing? 5. Note: various authors, including Heidegger, used hyphens with reference to the thing for us, and the thing in itself (re: thing-in-itself, etc.). This paper will restrict hyphenation only when a particular author makes use of it, as is the case with Heidegger and others (as quoted). Martin Heidegger, What is a Thing? 5. Immanuel Kant, Critique of Pure Reason, 117. Immanuel Kant, Critique of Pure Reason, 101. Martin Heidegger, What is a Thing? 62. Martin Heidegger, What is a Thing? 128. Keep in mind that Kant doesn’t see this as a ‘dualism’ proper, this way of speaking about appearance and the thing in itself as a dualism is used somewhat pejoratively by Kant’s critics to expose a potential problem brought about by his so-called dualism/s. This is a deliberate play on the meaning of the word absolution, whereby a Christian ‘absolution,’ more or less, means to forgive someone’s sins, i.e. as a priest can offer a prayer of absolution to forgive a sinner, and this is intended to play on Hegel’s transformation from Kant’s transcendental idealism to Hegel’s absolute idealism, which was a critique of Kant’s critical philosophy, while at the same time retaining certain aspects of it. See Terry Pinkard, Hegel: a Biography (Cambridge: Cambridge University Press, 2000) 60-61. Terry Pinkard, Hegel, 339. It is not cited to whom the 1822 letter was written. In a footnote Pinkard clarifies the translation of “Ich habe mich an ihr erzogen” to be literally, “I brought myself up on Kant’s works” 715. Immanuel Kant, Critique of Pure Reason, 464. G.W.F. Hegel, The Science of Logic, Vol. II, W.H. Johnston and L.G. Struthers, trans. (New York: The Macmillan Co., 1961) 112-115. The similarity between the two Logics is mainly structural, meaning that Hegel’s ‘logical’ structure is the same thorough these two works, and is thus carried over to the whole of his systematic philosophy in general. The bottom line is that the Logic is the structure of Hegel’s philosophy and reality itself. Hegel, The Enclyclopædia Logic, 93. Please note: The spelling of the Hackett translation is The Enclyclopædia Logic, it is not: The Encyclopedia Logic. Hegel, The Enclyclopædia Logic, 93. G.W.F. Hegel, The Enclyclopædia Logic, T.F. Geraets, W.A. Suchting, H.S. Harris, trans. (Indianapolis: Hackett Publishing, 1991), 80-108. Although this is cited in Hegel’s Logic, this quote is from the Guyer and Wood translation, of Kant’s Critique of Pure Reason, 115. Hegel, The Enclyclopædia Logic, 87. The footnote for this Latin term states: “This was an alchemist’s term for the ‘dead’ precipitate that remained when all the ‘living spirit’ had been extracted or given off,” 316. Hegel, The Enclyclopædia Logic, 87. See Glenn Alexander Magee’s The Hegel Dictionary, “identity and difference” (New York: Continuum, 2010), 116-118. “Hegel claims that the identity of the object is not something that it possesses intrinsically, irrespective of its relations to other things. Quite the contrary: the identity of something is constituted in and though its relations to other things and their properties.” 117. The word “germ” is used instead of seed, for some reason. This difficulty might have something to do with a bad translation, but then again it might just be Hegel’s legendary difficulty at work—tough to say for sure. Hegel, Science of Logic, 112-115. Hegel, Science of Logic, 115. See Magee’s The Hegel Dictionary, “appearance.” “Thus Hegel rejects such attempts at setting up a dichotomy between appearance and reality.” and “appearance is a showing-forth, the displaying of what something is.” and “on a deeper level, however, we can say that the things themselves are appearances of the absolute.” 38-39. Hegel, The Enclyclopædia Logic, 252. Magee, The Hegel Dictionary, “reflection,” 198. Kant, Critique of Pure Reason, 116. Inwood, A Hegel Dictionary, “spirit,” 274-277. The entry for Hegel’s Logic in Glenn Alexander McGee’s The Hegel Dictionary says as much “And what the Logic gives us, quite simply, is Hegel’s account of the whole, the formal structure of reality itself, its inner truth.” 132. Inwood, A Hegel Dictionary, “concept,” 58-61. G.W.F. Hegel, The Encyclopædia Logic, 81-108. …this isn’t the only time Hegel in The Encyclopædia Logic speaks of the thing in itself and its problems, I’m counting five other instances, and there must be more. G.W.F. Hegel, The Encyclopædia Logic, 88-89. Hegel is sounding very Platonic here, although we’ll see that this characterization is not accurate with respect to Hegel’s appearance etc. Glenn Alexander Magee, The Hegel Dictionary, 112. G.W.F. Hegel, The Encyclopædia Logic, 200. …back in §46, Hegel goes as far to call Kant’s subjective idealism: vulgar! Hegel, G.W.F. The Encyclopædia Logic, 89. Henry E. Allison, “The Thing in Itself and the Problem of Affection,” Transcendental Idealism, 50-73. Henry E. Allison, “The Thing in Itself…,” Transcendental Idealism, 50. Pippin seems to agree with this assessment too, in the above mentioned Prauss review. Kant, Critique of Pure Reason, 512. Kant, Critique of Pure Reason, 345. Guyer and Wood in their introduction to the Critique repeat this distinction in Kant’s philosophy that “reveals Kant’s characteristic tendency to convert ontological questions into epistemological questions—that is, the transformation of questions about what sorts of things there must be into questions about the conditions under which it is possible for us to make claims to the knowledge about things.” Paul Guyer, Allen Wood, eds., Kant, Critique of Pure Reason, “Introduction to the Critique of Pure Reason,” 25. See Immanuel Kant, Kant’s Inaugural Dissertation of 1770, William J. Eckoff, trans. (Whitefish: Kessinger Publishing, 2004). Henry E. Allison, “The Thing in Itself…,” Transcendental Idealism, 59. Immanuel Kant, Critique of Pure Reason, 381. Quentin Meillassoux calls Kant a “correlationist” for this reason, i.e. the thing in itself is a correlate to the thing as it appears to us. See his After Finitude. Howard Caygill, A Kant Dictionary, 401. Henry E.Allison, “The Thing in Itself…,” Transcendental Idealism, 60. Kant, Critique of Pure Reason, 504. Henry E. Allison, “The Thing in Itself…,” Transcendental Idealism, 62.